One of the biggest questions I always get asked is about choosing WordPress themes. I come across many beginners who are new to WordPress and are learning their way through everything – themes, plugins, child themes etc. This post is about how to find a theme that works for you. There are many themes both free and paid and choosing one theme that gives you everything you need for your site from a sea of themes sounds practically impossible. Add to that all the new features that get added to themes every day, it feels like it is a huge task to get the theme that’ll work for you. I will walk you through the process of choosing a theme. Yes, it is a process. You don’t have to spend lot’s of hours on it, but a couple of hours spent will give you a good enough theme to start with. Before you get all excited and open your browser to do some theme searching, you need to do your homework. Here is a list of things you need to have before you start searching for themes. What is your website about? – Why is this important? Because not every website can have the same set of colors or organization. The layout of the website will depend a lot on the type of site. Do you already have a logo? If yes, do you want to choose the website colors that are close to your logo? Do you want a slide show on your home page? Is this a blogging site? e-commerce site? A regular website with static pages? What do you want to display on your home page – blog posts? Products? Images? Videos? Can you write a little bit of HTML and CSS? Can you create a child theme? Are you familiar with FTP to add/remove stuff to your site? Are you familiar with shortcodes? There are a number of websites where you can find a theme for your WordPress website. I am going to focus on getting a theme from wordpress.org. WordPress.org has free themes which have gone through a rigorous review before getting up on the site for download. One thing to remember is that you should not be looking for the entire functionality to come from the themes. Themes are most useful for the layout of the content and colors of the website. Not functionality. Some themes do come with certain functionalities and that is good. But, try to use plugins to add functionality to your site. That way, if you end up changing your theme, your plugins will still work. One advice I will give is to choose a responsive theme. Mobiles and tablets are being used more and more to view websites. So, choosing a good responsive theme saves you hours trying to make the site look good on the different devices. Head over to https://wordpress.org/themes/ to find a list of beautiful themes. The featured themes are shown by default. You can look under popular or the latest themes. You can also use the super cool Feature Filter. This has a nice set of features you can select. This is where your earlier homework comes in handy. To use the feature filter to your advantage, you need to know some of the important things you want for your site. Once you have a list of themes, there are a few more things we could look for. You can click on the theme for more information about it. What exact information are we looking for? Last updated date: One of the first things you want to check is when this theme was last updated. You would generally want to select a theme which has been updated recently. Why? Because, WordPress releases updates on a regular basis to fix many bugs. If the themes are not updated regularly, they might have security issues or they might not work well with the current WordPress version. Next thing to pay attention is the number of active installs. This is number of sites that are currently using this theme. You can check the ratings and reviews of the theme. But, I would advise you to not put too much weight on these. Looking at the number of ratings for each star does not tell you much. If you click on the bar for each of the rating, it will give you a detailed list of the reviews. You can actually read what people had to say about the theme. I usually read the one star ratings. They will tell you if there are any things to look for. That said not all one star ratings are bad. Users might have given it a 1 star because it lacked a few features that they wanted. Not necessarily a bad thing. You might or might not need those features. The next thing you can look at is the support forum for the theme. This will tell you if the support tickets are being answered quickly. This is also a place you can go to if you run into problems while you are setting up that theme. So, make sure that the theme has a good support forum. One other thing to keep in mind is about how old the theme is. Old themes have more users and many bugs have been discovered and fixed. So, there is a higher possibility of you finding a solution if you have any issues with the theme. But, if the theme is not being updated as and when WordPress is updated, then you are bound to run into issues which will be difficult to fix. If a theme is new, you probably would not have issues with compatibility, but also there are not many users for the theme yet. So, you might run into issues which might not have a solution yet. If you are looking for something specific, I would go into the support forums and see what issues the theme has and if and how that will affect you. If you really like the theme and do not find any reviews or ratings on the wordpress.org site, I would do a quick Google search to see if you can find something about the theme. So, you have now found the theme that you want to use. The next step would be to go into your WordPress dashboard -> Appearance -> Themes and search for the theme you just found. 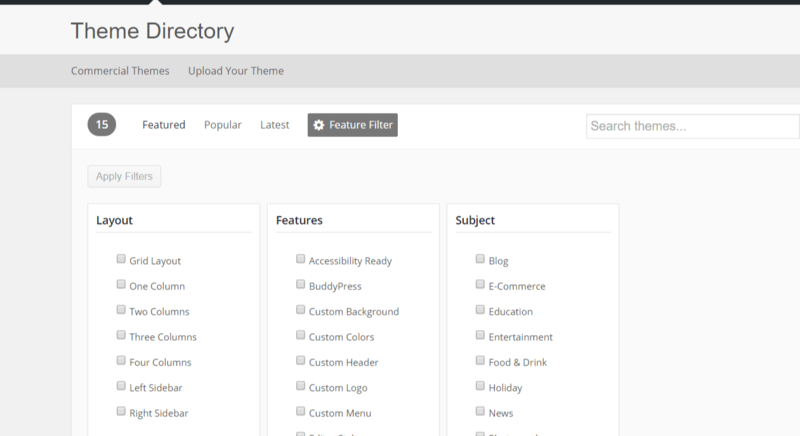 All the themes found in wordpress.org can be found in your dashboard under appearance-> themes. Find that theme and preview it. It will show your site content with the theme so that you’ll have an idea of how your live site would look. Bear in mind though, you have not entirely set up your theme. So, it might not look that great in the preview but, it will still give you a general idea. You can then install the theme and play around with it. Most of the themes will usually come with documentation you can follow as you set up your website. One of the best ways to test a theme would be to install it and try to set it up. Sometimes you will need to try a few themes before you settle down with the theme you like. But, also you might never find the perfect theme you are looking for. 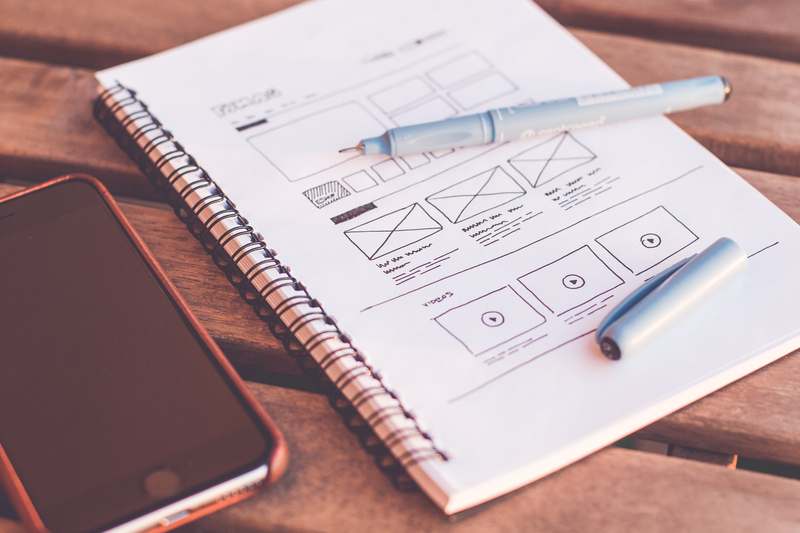 I would suggest launch your site with a nice theme (even though it is not exactly like how you want it) and keep working on it to make modifications as needed. Sometimes the functionality you are looking for can be achieved by using a simple plugin. If, after searching through the entire WordPress.org, you do not find anything you like? You can quickly do a Google Search and you will find many websites with WordPress themes – both free and premium. I have used many of those themes myself and most of them are fine. All the rules above still apply. Make sure you know what you are getting for that price. I would still recommend using a free theme especially if you are beginner and get adjusted to the WP Dashboard. Once you are more comfortable and ready to explore, you can purchase a theme. The other option would be to hire a web designer and developer to help you build a custom design and code a custom WordPress theme.